Submitted by ashleigh on Thu, 2010-11-18 20:19. Submitted by dougj on Tue, 2008-12-16 03:23. Something a little different for DIYPlanner today. There are a lot of people out there who make products we love, or who have dedicated themselves to subjects that continue to intrigue us. We're going to start to interview some of these people, learn what makes them tick, and perhaps get an inside look at the industry that makes us more productive, or more creative, or that simply disposes of all our disposable income. 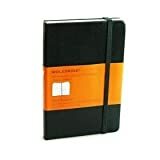 In writing my review of the "Bare" line of notebooks, I became fascinated by Myndology's unique approach to design. I managed to snag one very busy Jason Kinziger, the owner of this small company, to discuss the creation of this series. Tell me, what was the inspiration for the Bare line? I made this product as much for me as I did for our customers. I felt the current paper and notebook market has become overloaded with glossy and saccharine products. I honestly have a hard time walking into a big box store without feeling a little nauseous, there is just so much cheap paper and plastic.